Kaikai Kiki Gallery is proud to announce “Gallery’s Eye – Erabu Chikara,” a large scale exhibition of craft art comprising work from over 10 galleries, including our own Oz Zingaro. The event will offer each gallery a chance to present and sell specially selected works side by side, an act which reinforces the role of the gallery in the face of today’s increasingly open market. 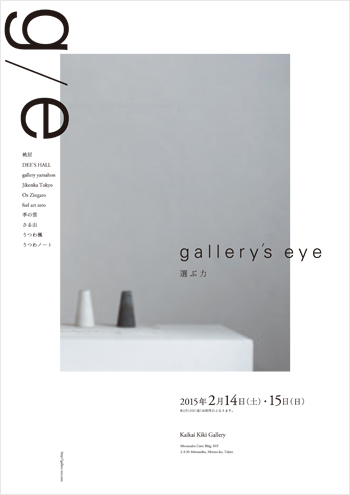 Even the title “Gallery’s Eye – Erabu Chikara (The Power of Selection)” emphasizes the importance of curatorial eye and the assemblages presented by each gallery allow you to interpret the work as filtered by their personal vision. We hope that it will be a new and challenging experience for all. 3. Requests for receipts and invoices should be directed to the gallery in question directly.